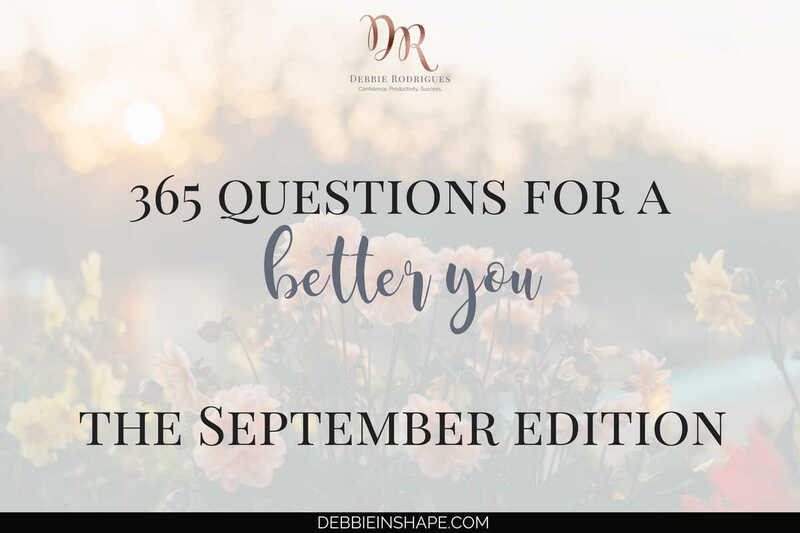 As I went through the questions of the 365 Questions For A Better You The September Edition, I realized it was already time to start planning 2019. Yes, I do prefer to start early because I take my time. But some things are going to change in comparison to last year. While my planning for 2018 was mindfully craft and as complete as it could be, this year was full of surprises. And as a result, a lot of the things I had in mind had to be changed. And it’s still ongoing. Note that none of the changes were bad. However, repeating the same approach for 2019 wouldn’t be a smart decision. Thanks to the daily prompts, I’ve been learning even more about myself and becoming aware of things I want to do differently going forward. I’m still defining the steps that will help achieve these goals, but I’m looking forward to this new way of getting ready for new challenges. 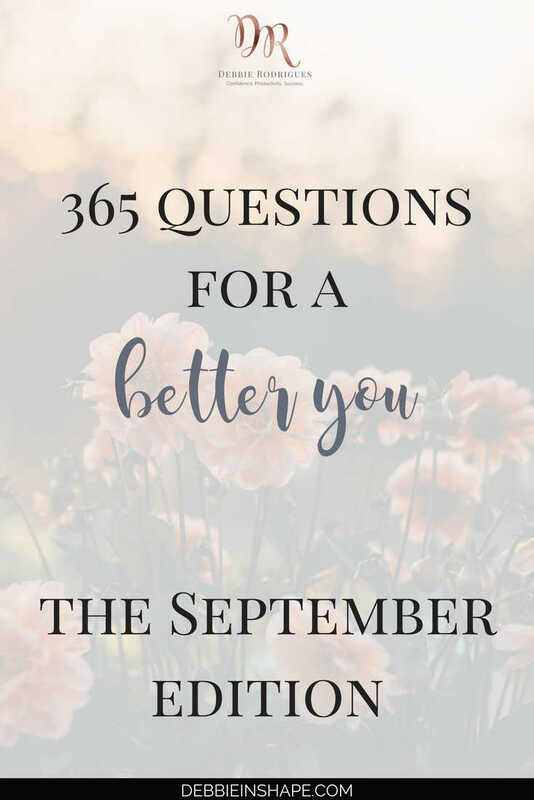 If you’re new to the 365 Questions For A Better You, please find the previous posts linked below. For accountability and support, come on over to the Facebook Group #PlanWithDebbie. It’ll be awesome to have you there. Let’s check this month’s questions, shall we? 244. What’s your view on self-love? 245. How do you deal with distractions? 246. How hard is it for you to say “no”? 247. What do you think about multitasking? 248. Do you suffer from information overload? 249. Have you ever had a burnout? 250. How frequently do you exercise? 251. Is there anything you can’t live without? 253. Bungee jumping or parachuting? 254. How do you feel when you take a break from work? 255. Where do you have your meals? 256. How many meals do you have per day? 257. Do you have a bedtime ritual? 258. How many cups of coffee do you drink during the day? 259. What’s bothering you right now? 260. 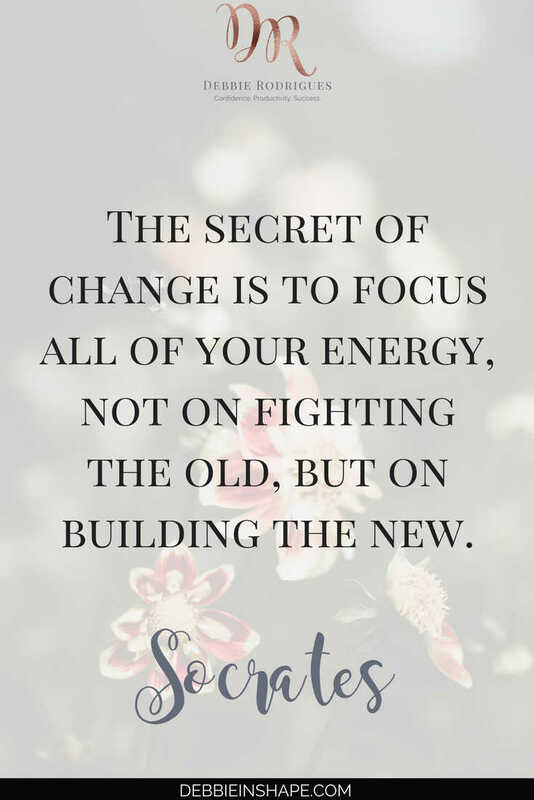 What changes would you like to see in your life? 261. What was your latest success? 262. How do you feel about last-minute changes? 263. Something that gave you joy this week. 264. What are you wearing right now? 265. Fast or slow food? 266. Do you experience any chronic pain? 267. What’s on your Vision Board? 268. What’s your favorite art form? 269. How do you define your priorities? 270. Economic, business or first class? 271. What household chore you dislike the most? 273. What qualities are important in a role model? 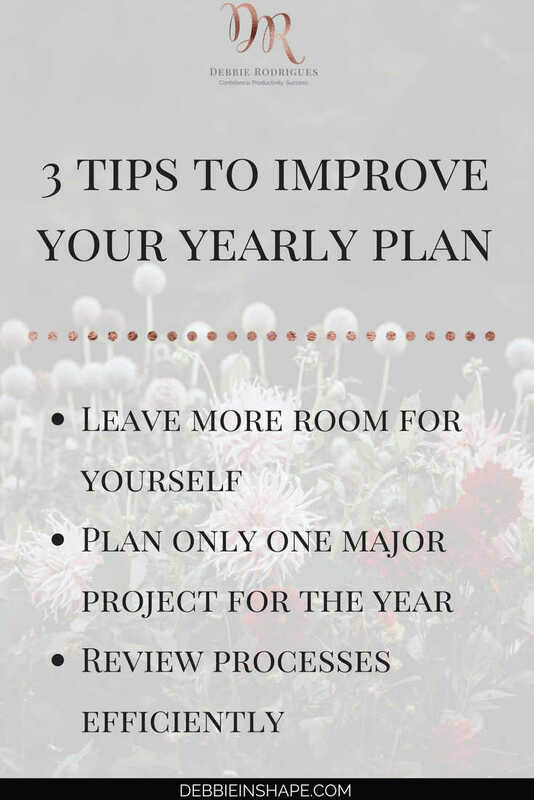 When do you start planning the following year?